Many of our customers know us as a specialist in injection moulding, thermoforming and assembly and as a full-service supplier of plastic products. A few months ago, we added a new specialty to this list: the production of circuit boards (PBCAs) for electronic devices. 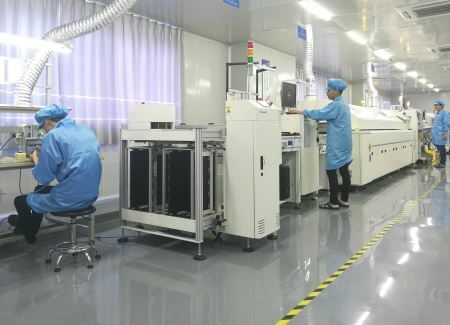 Rompa Shunxing (China) has its own SMT line for this process. According to electrical engineers Rocky Tan and Jinko Ruan, this leads to major benefits for our customers. The most important being: increased efficiency, better safeguarding of quality, shorter delivery times and lower costs. Although Rompa is currently focused on further optimising this SMT line, space has already been reserved for the addition of a second line. “We do not have any clear plans just yet, but we are ready for another expansion in the near future,” Jinko says. “Our ambition is to become a leading full-service supplier of plastic products with electronic components.